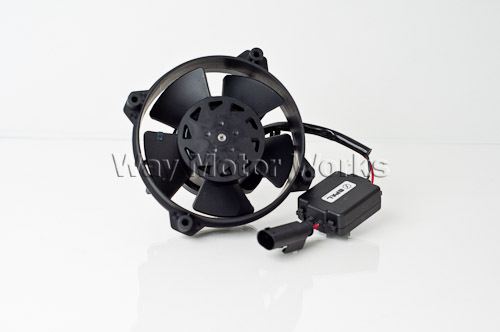 These power steering fans are known for failing. Anytime your under the car it's a good idea to make sure it isn't locked up. If it is it needs to be replaced. A bad fan can cause the car to overheat or the steering to overheat. And that could cause the expensive Power steering pump to fail. These fans are JUST the fan. Does not include the mounting bracket. This is the Fan ONLY, to install you will have to remove the 4 screws mounting it to the bracket. Earlier cars may have rivets to drill and replace with screws, but still an easy install. And a lot cheaper than the dealer with the bracket.